Jun 26, 2015 We’re sorry to learn that you had difficulty contacting us. As you have not advised us how you tried to make contact, it is difficult to address this issue. We recommend discussing your issues with the service professionals in our Customer Advocacy Group. We would arrange for them to contact you, but you have chosen to remain anonymous. Consequently, we recommend that you contact them at 1-800-607-0419, or cagsupport@greathealthworks.com. I am a severely disgruntled consumer as I have attempted to contact customer service to discontinue the auto shipments of Omega XL with no success. This has lead me to close my credit card account to prevent further monetary deductions for a product I found no beneficits from. Reason of review: Problems with payment. Review #619795 is a subjective opinion of User619795. I also saw the advertisement. I been suffering from back pain for a long time. 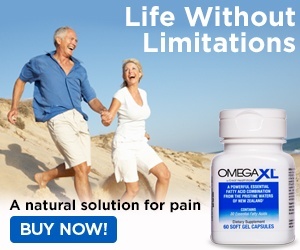 I wanted to give omegaXL a try, but reading all the reviews made me stop. Shame on you Larry King! We trusted you!